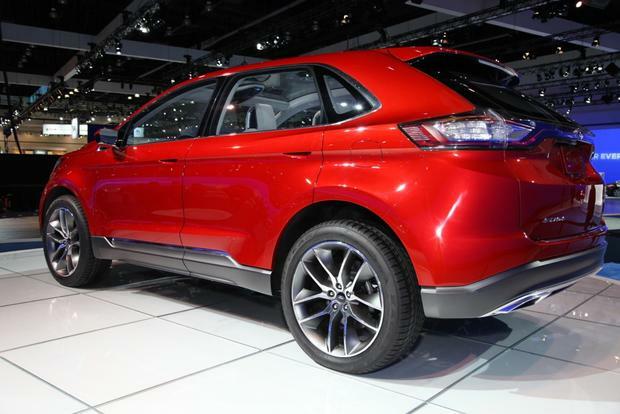 2016 Ford Edge sport, specs, mpg, price – Edge is one of smaller crossover SUV vehicles from Ford’s range. It was introduced back in 2007 and that makes it one of the youngest as well. 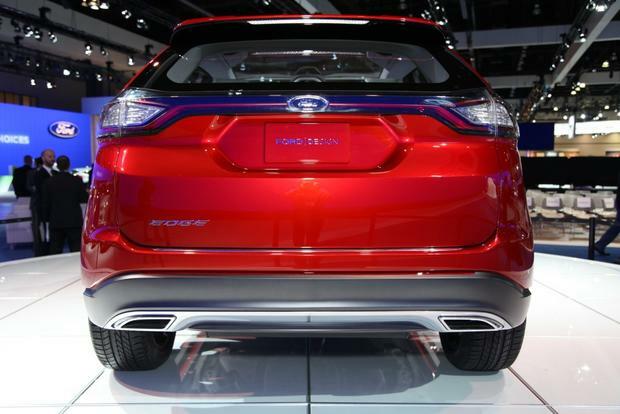 The 2016 Edge will carry over where its direct predecessor left off. 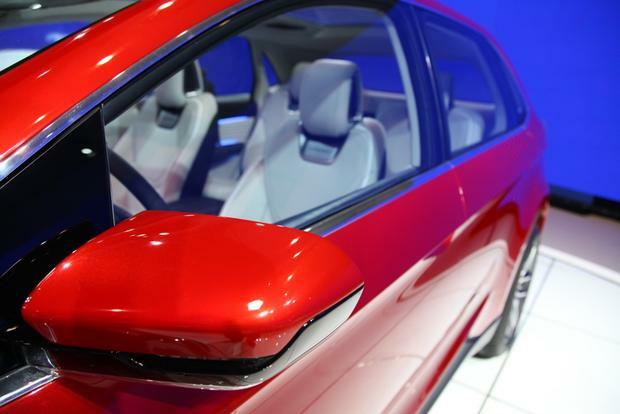 Needless to say, this year’s model is vanguard of all-new, second generation. The Edge has been reworked this year after almost a decade, and it has paid off. 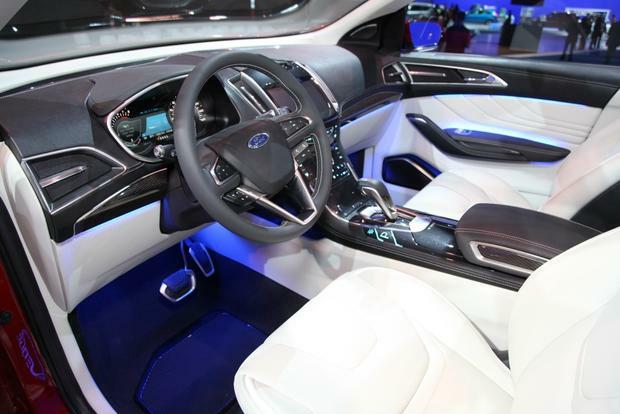 The new Ford Edge 2016 will only continue where its predecessor left off and offer some new color schemes, but that’s pretty much it. Design changes were rather extensive and new Edge looks better than pretty much any other blue oval’s SUV or crossover. 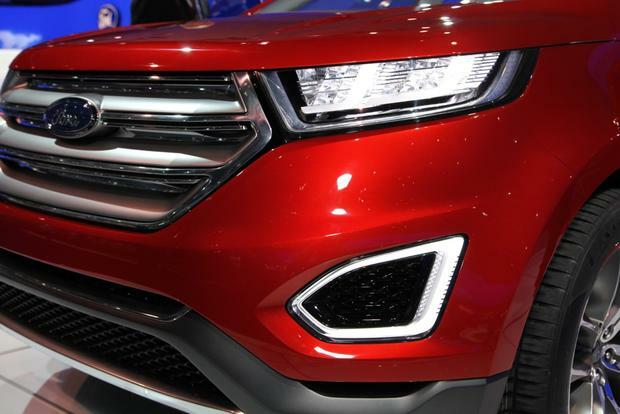 Frontal fascia gets a handsome hexagonal stripe grille with thin, sharp headlamps and very handsome bumper. All over its body, you’ll find sharp, angular creases which look quite modern as well. Rear end is no different too, and gets upright finish which stretches across the whole tail-gate, while light bridge connects contemporary-looking tail-lights. Finally, there’s another light line below the tailgate, which lightens up the bumper. Interior features blue oval’s familiar layout. From basic cloth to advanced leather upholstery, and from plastic to two-tone accented dashboard and door panels, 2016 Ford Edge offers something for every pocket. 8-inch touch screen display with MyFord infotainment system is available from SEL grades and standard further on. You still won’t get third row of seats which some mid-size crossovers offer, but Ford has other vehicles for that. Here, they mostly emphasized on affordable comfort. 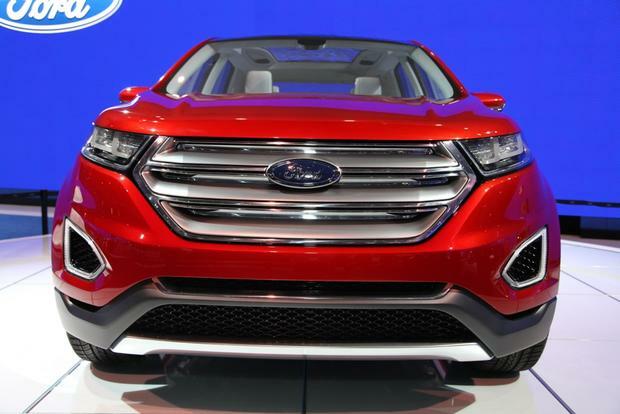 After this year’s powertrain changes, the new Ford Edge 2016 should continue to offer three different engine options. Base engine remains 2.0-liter EcoBoost 4-cylinder making 245 hp and 270 lb-ft of torque. This unit is standard throughout most of the range (SE, SEL, Titanium), while optional 3.5-liter V-6 engine can be ordered as well. It develops 280 horses and 250 lb-ft of torque. Finally, Sport models which sit at the top of the range, warrant special powertrain and they get it in terms of 2.7-liter EcoBoost V-6, yielding 315 hp and 360 lb-ft of torque. All available models come with the same 6-speed automatic gearbox, and in both standard front and optional all-wheel drive configurations. Base engine is rated at 20/30 mpg with front and at 20/28 mpg with all-wheel drive. Optional naturally aspirated V-6 returns 18/26 or 17/25 mpg, depending on drivetrain, while twin-turbo V-6 is rated at 18/27 or 17/24 mpg. 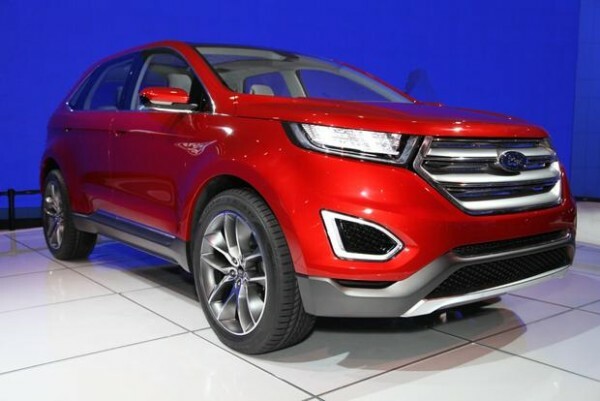 We expect that new Ford Edge 2016 will be released in fall this year, while it will be available for sale till the end of 2015 or early 2016. $28,000 is what you’ll need for entry-level SE grade, while Sport models cost at least $38,000. 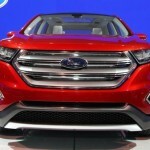 The main competitors for the new 2016 Ford Edge will be Nissan Murano, Mazda CX-9, Jeep Grand Cherokee, Volkswagen Touareg and Subaru Outback. hope it doesn’t leak like my 2015 titanium did and has been waiting for over 2 months for repairs in the dealers garage. Ditto Bill’s comment re. release date of 2016 Edge. The experts keep saying sometime in the Fall. Can’t anyone report better than this? If we don’t get a release date soon, I suspect Ford will lose many customers to other brands, since Winter is almost upon us. Ole Henry Ford hide his new models well, but he DELIVERED credible info. Being wanting to buy a new edge,can’t find what I want in 2015 models, can’t get answer on when 2016 model will be out..might look for something else soon.. I would expect better PR management from a company this big. However, who knows what skeletons all these car companies have in their closets. I’ll give it a couple of months to wait for the 2016 after that I’m going to get a Jeep Grand Cherokee.